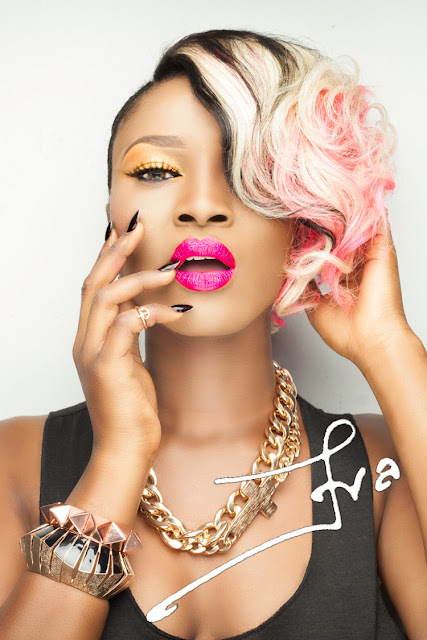 Eva Alordiah set to drop new Single #Lights out;releases artwork for upcoming Track..
Rapper Eva Alordiah has been off the scene for a while Music-wise but that is set to change with a brand new single set to drop pretty soon! "Yes!! I know i know, i have been off your radar for a while. Here's the thing, i had a total turn around. Well i do hope i did. I'm sure i did! What am i saying? LOL. I need to chill. Ok, on the real though, i have been studio grinding for a hot minute. A lot has changed since the last time you heard me on a self joint - which would be #Mercy. This year has been pretty dramatic for me and very... i donno what the word is. I think what i mean to tell you is, 'Hey, I'm different!'. I would like to think i actually did quit Music and started all over again. If you have been listening to me for a long time, you'd hopefully notice the difference in my sound and my approach to music. I am absolutely loving every new thing about my art and i do sincerely hope you do too when the music comes out- which would be non-stop after the release of #LightsOut. #LightsOut. It was produced by my good friend, 'Gray Jon'z, whom i have worked with over and over again after "High". He is so talented, i cannot express this enough. Everytime we get in his studio to work on a joint, its always a humbling experience. I have too much respect for him. I do hope you enjoy #LightsOut guys. I made this one for the Ladies. I love you! Please support. 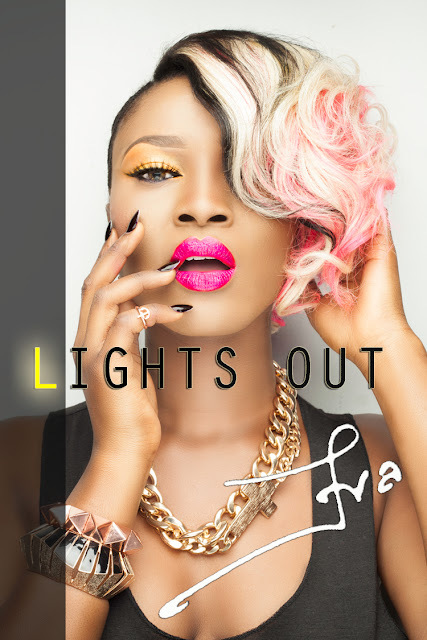 #LightsOut"
I completely Love the artwork for the Single especially the makeup.Eva also doubles as a make up artist,does all her makeup works and even runs a makeup academy,talk about being multi Talented!